Has anyone ever migrated a Word Press Blog and past posts into a MyVR blog so that all of the blog history is in one place? Is it even possible? We have started investigating that and are considering making more use of our integrated site blog for myvr because it apparently increases the site's credibility and google rankingas surfers stay on the site longer to read posts. @Jenny-Oest - You got me to thinking so I just took a look under the "Blog" tab on the site I did see this widget. See the attached screen shot. Maybe this is what you had in mind? @darrell-looney112 - I did see that, and will no doubt check it out. I just wondered if anyone else had traveled the road first. I'm also sending this in as report a problem. so...dumb me...I did figure out that I needed to include the http://... I need caffeine..
Did you also try the https://... version if you have that for your site? There is so much changing on the internet in terms of simple URL's that affects all of this stuff! Currently I am investigating accordion solutions for blog and FAQ's. After digging in, it looks like the issue was that we were unable to scrape the content of your posts when trying to import. I believe we scrape your blog by using the RSS feed, and get blog post contents from the < content:encoded > tags in your feed. 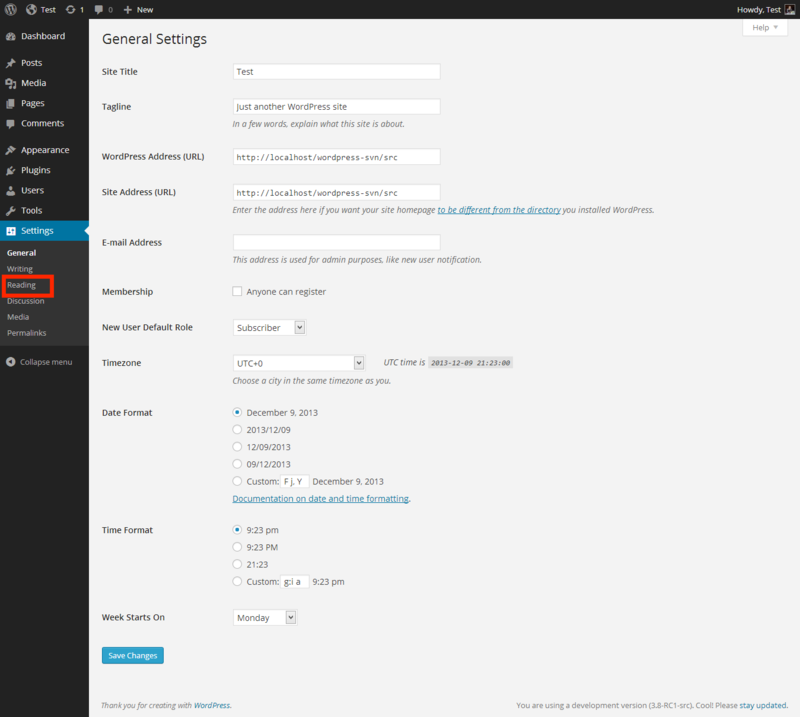 Did you configure your blog in any way to customize the feed or change any other rss related settings? @thomas-kilmer - I have not. The main reason that I wanted to import is that I am so novice on WordPress, that I'd rather move forward in the MyVR forum if it works out. 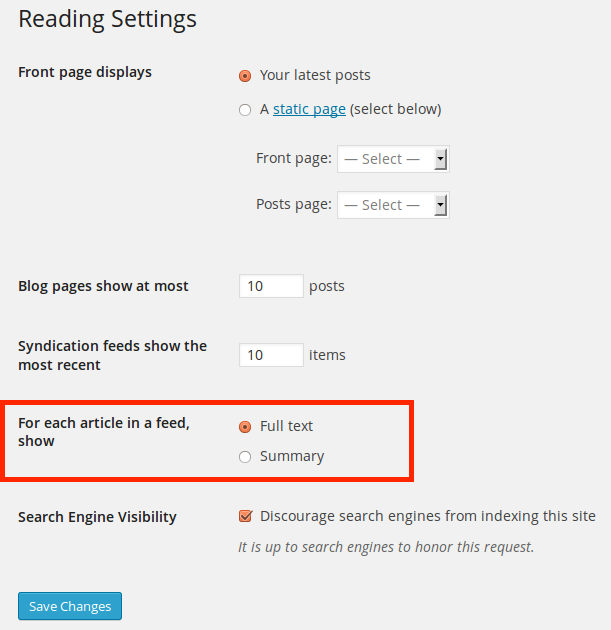 Can you check your WordPress settings and make sure "Limit feed to excerpt only" is set to off? You can find it by clicking settings in the left sidebar, then clicking the writing tab and scrolling down. Visiting this link will also take you to the correct page. Note that the feed settings also contains a number that will limit how many posts we can import. You'll probably want to set this number higher than the number of blog posts you have. Let me know if this was the issue, and if not, I'll keep investigating! @thomas-kilmer - before I change that...I have an RSS feed that sends an email to subscribers with the excerpt. If I change that, will it start sending the whole blog post? I wouldn't want that. 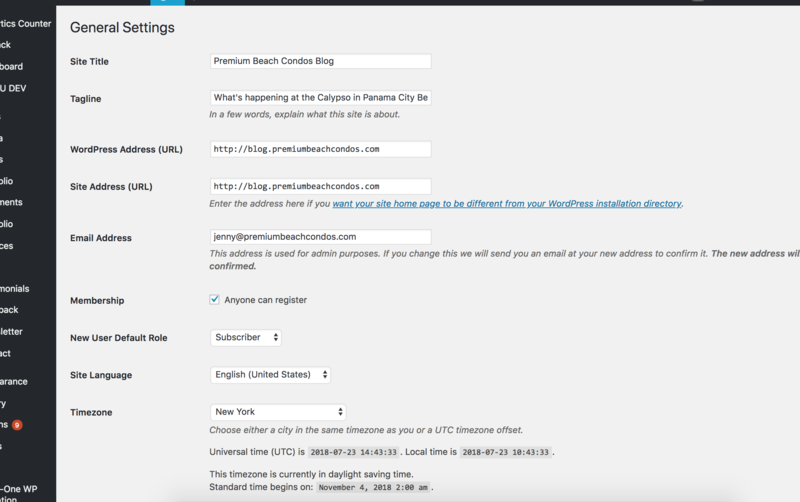 I think it will send the whole blog post in your subscriber email if you change this. However, to get the import working you would only have to change this for a few minutes at most while you import, and could then switch it back after the import finishes. I don't know what your setup is like, but I would guess that switching the setting would not trigger a subscriber email. To be certain, you could temporarily disable the sending of subscriber emails, toggle excerpts only off, import your blog on MyVR, then toggle the excerpts only back on. I saw a different ticket where CJ mentioned that our blogs currently do not support a public facing RSS, so if you convert, you will not be able to send automatic blog updates to your subscribers anyhow. If this is an important feature to you, you may want to stay on WordPress for now. @thomas-kilmer - I'll try that. If the blog forum works better within MyVR, I can always manually trigger an email update through MailChimp. One more question - if I import a second time, (assuming first is successful), will it only import new entries or will it duplicate the previous import? 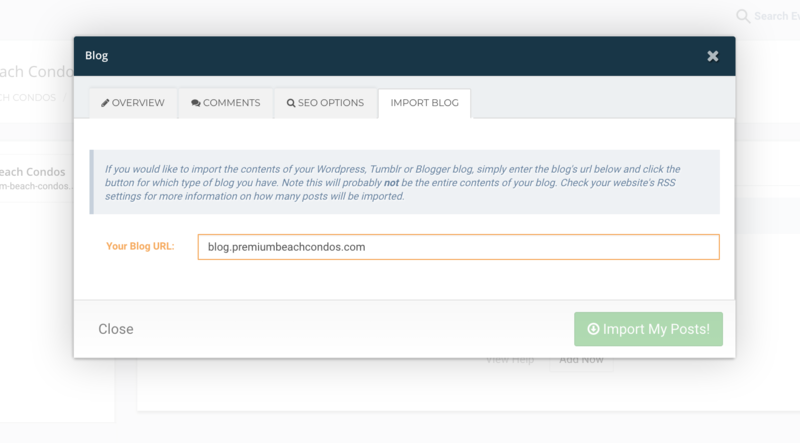 The import will create new blog posts for any new entries it finds and it will update any existing blog posts from previous imports based on the latest from your feed. 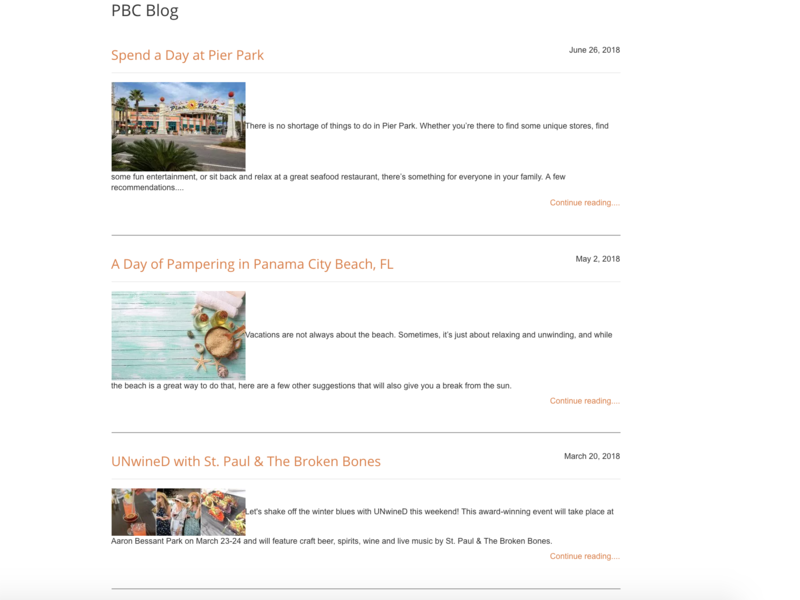 So, if you import for the first time with your blog having a single post: Post1, it will create a single blog post. 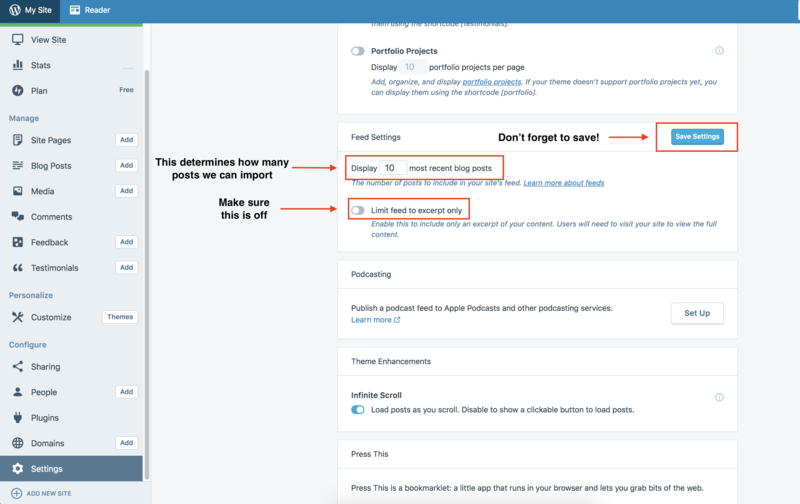 If you import again after creating Post2, and changing the contents of Post1, the importer will create a new post for Post2, and update the contents of Post1 to stay up to date with your blog. @thomas-kilmer - my WordPress settings don't look like yours. I'm not sure where else to find that option? Huh, that's strange, I wonder why we have different versions. I think you want to go to Settings > Reading to find the right option. I'm just going off of some pictures I found online, so let me know if this still isn't what your settings look like. Choose "For each article in a feed, show Full text"
@thomas-kilmer - YAY! That did allow the import to work. Now the next question is, how do I get it back to the date order that was on the original blog? 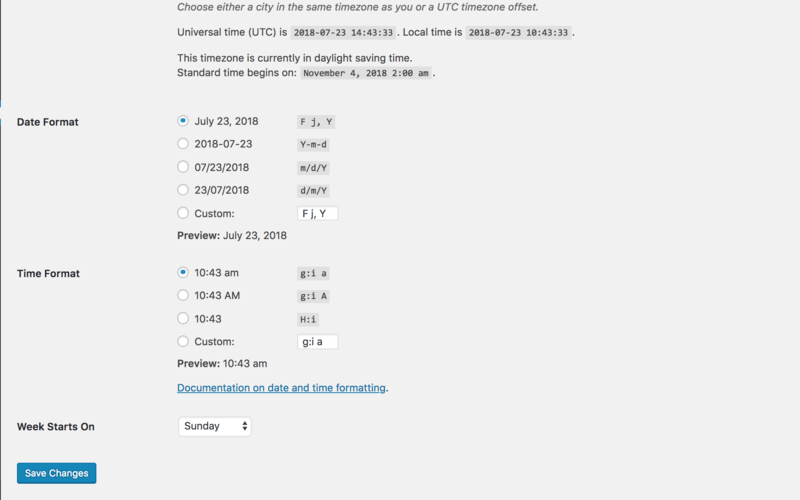 All of the creation dates and last modified dates are today's date (the import date). Is there a way in the import to preserve those WP dates? Glad to hear it. Unfortunately the blog post list view is sorted by created date, as in when the posts were created in the MyVR database. You should still see the original published date on your MyVR blog, though, and the posts will appear on your blog in the order you published them on the blog you imported from. Now, is there anyway to improve the formatting? It seems odd that only one sentence is to the right of the photo and the rest wraps around...shouldn't it all be together? I know, feature request?